Some fascinating insect species can blend in with dead leaves, flowers, and dry grass. These creatures use camouflage for two purposes: to protect themselves from predators and to facilitate aggression toward other species. 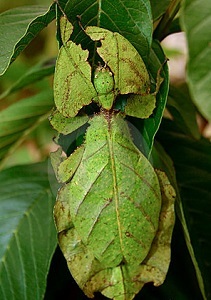 The different types of camouflage include protective resemblance, active, passive, and crypsis. One type of camouflage is called protective resemblance. This is when an insect uses its shape and color to its advantage. For example, some insects can change their coloring depending on their specific surroundings. Camouflage can either be active or passive. Active camouflage is any type of camouflage that is used in action, while passive camouflage is when an animal is already naturally camouflaged into its environment. Stick insects blending into branches and grasshoppers blending into grass are two examples of passive camouflage. A fourth type of camouflage is called crypsis. This occurs when an insect uses only its coloring as protection. Some insects that use this strategy include moths, leaf insects, butterflies, and grasshoppers. Camouflage is one of many tactics insects use to survive. Next time you’re out in the wild, see if you can spot some camouflaged critters!